The latest location of Ramen-San (@ramensanchi) is now open in Streeterville! 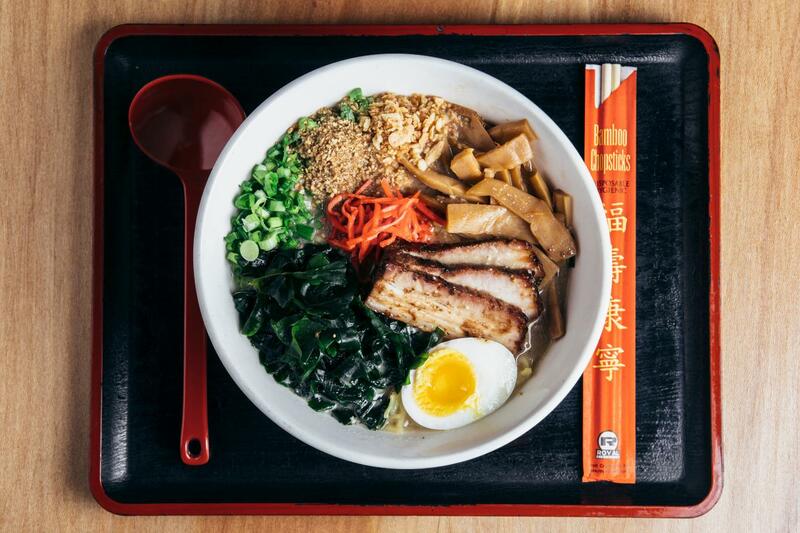 The popular noodle shop dishes out its signature ramen, Express Lunch and new menu items to the neighborhood, located at 165 E. Huron St.
Click here to make a reservation at Ramen-San Streeterville. As with the River North and Fulton Market locations, this spot brings the “San” vibe and energy to Streeterville with its old-school ’90s beats and hot bowls of soup. 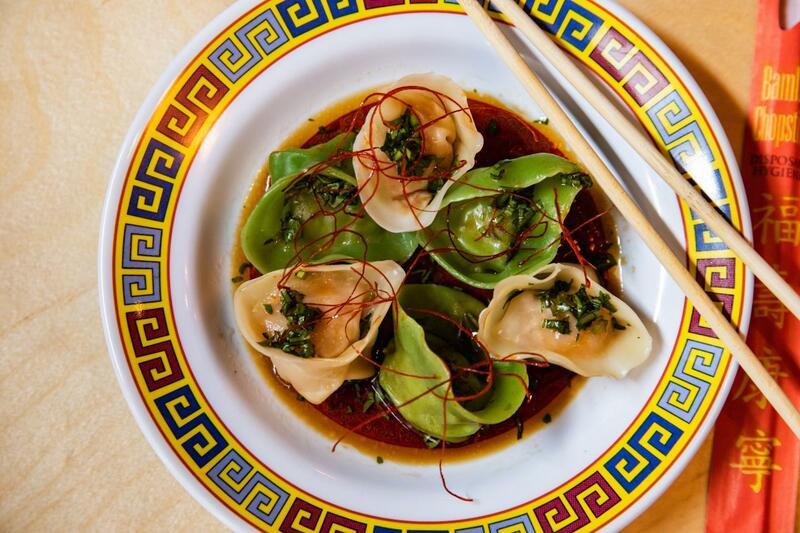 The menu imports the same star-studded lineup from the River North and Fulton Market locations, like Spicy Szechuan Wings and 10-Hour Pork Tonkotsu and Kimchi & Fried Chicken ramen bowls, while adding new features. 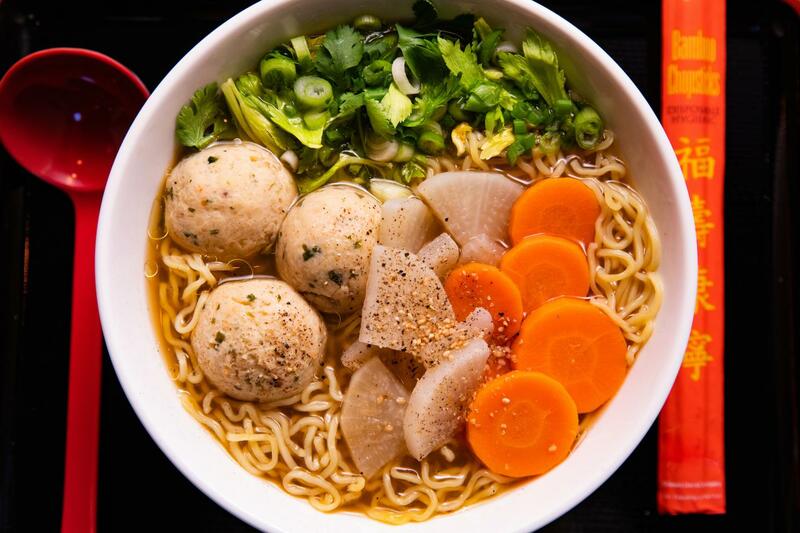 The new Miso Matzo Ball Ramen is Ramen-San’s playful ode to two traditional dishes: Japanese fish ball soup (oden) and the classic chicken-matzo soup fondly known as Jewish Penicillin, which is said to cure all ails. 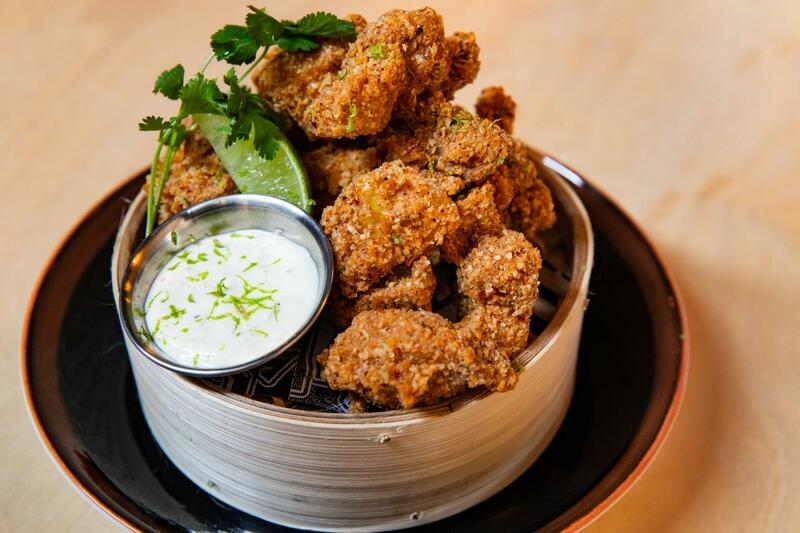 The steamed Lobster Dumplings are served with black vinegar soy and chili threads, and the crispy Karaage Chicken Nuggets are paired with a bright lime kosho aioli. Diners can sip on ice-cold Asahi beer, rare Japanese whiskys and cocktails like the Penicillin #3 that combines Toki whisky with ginger beer, lemon and demerara. And not to worry – Ramen-San will be serving its house-infused Sake Bombs in yuzu, kimchi and original. Ramen-San offers its speedy weekday “Express Lunch” – getting diners in and out the door in 45 minutes during the busy lunchtime rush – and features a choice of ramen and rice plate, plus a small salad-san and marinated cucumbers for just $15. It also offers ultra-fast carryout (aiming for 10 minutes or less), and guests can round out the day with happy hour every Monday – Friday from 4:00 PM – 6:00 PM. Ramen-San’s okonomiyaki is available during brunch hours on the weekend. 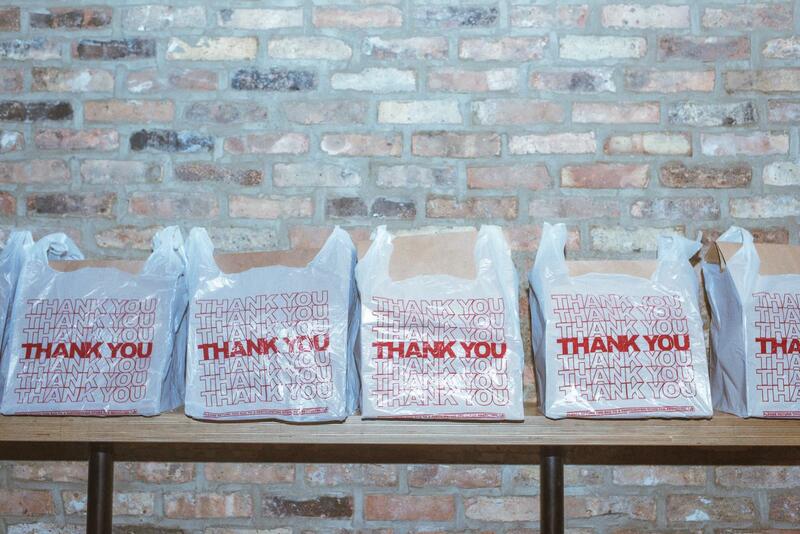 Ramen-San Streeterville is open for lunch, dinner, carryout and delivery seven days a week. Hours are Monday – Thursday, 10:30 AM – 10:00 PM; Friday, 10:30 AM – 11:00 PM; Saturday, 11:00 AM – 11:00 PM; Sunday, 11:00 AM – 9:00 PM. Follow along @ramensanchi on Instagram for the latest. To make a reservation, visit us at ramensan.com or call 312-767-4075.